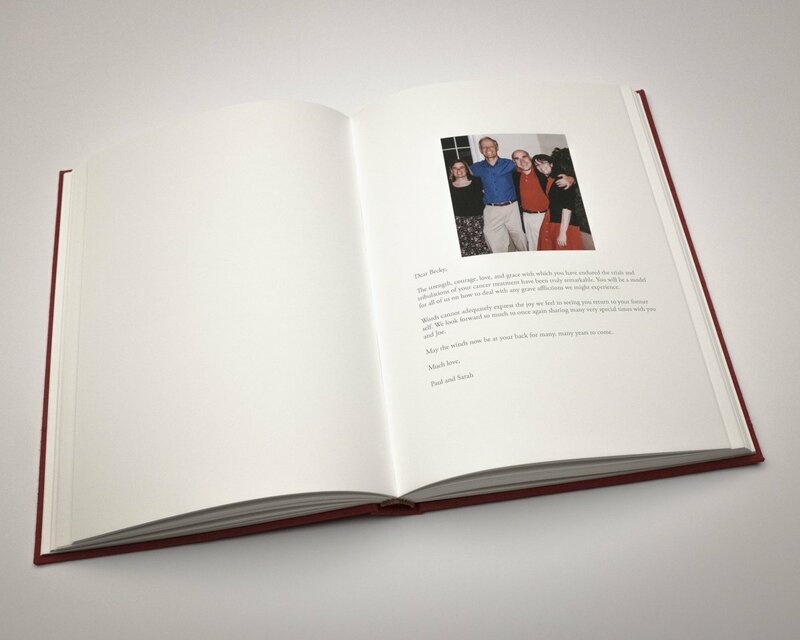 Here are a few photos of a 150 page book I’ve just finished printing and binding for a friend. 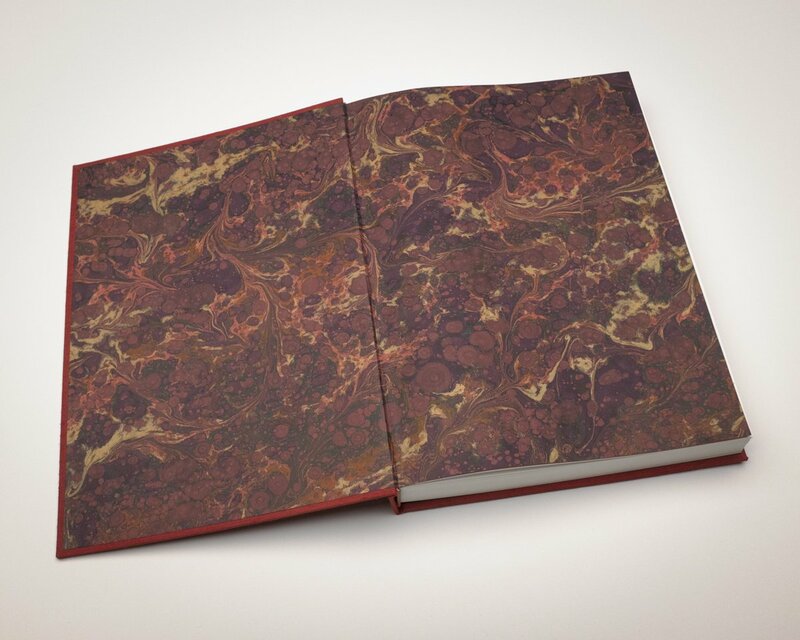 It’s 12.5 x 9.0 x 1.5″ in size, consists of nine hand-sewn signatures and is finished in red Italian book cloth with marbled endpapers by my friend Enrico Giannini, a fifth generation Florentine bookbinder. 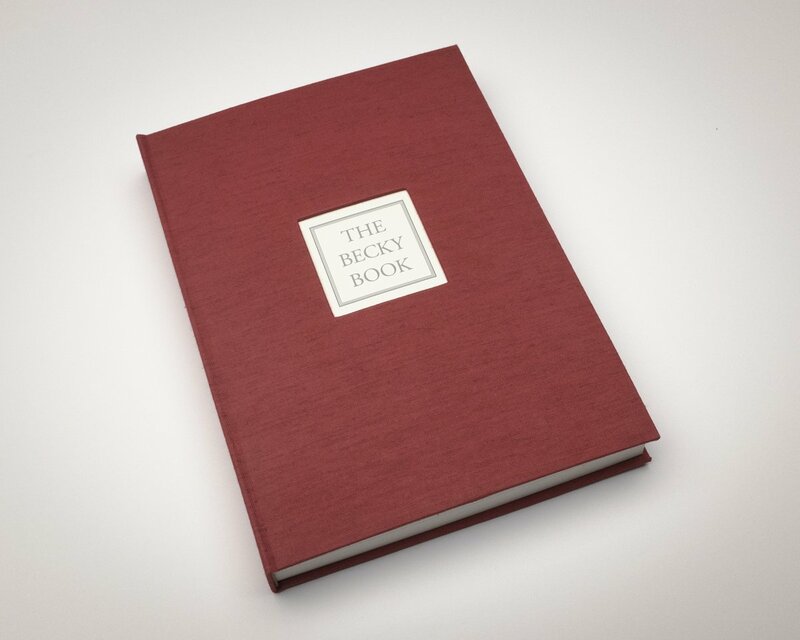 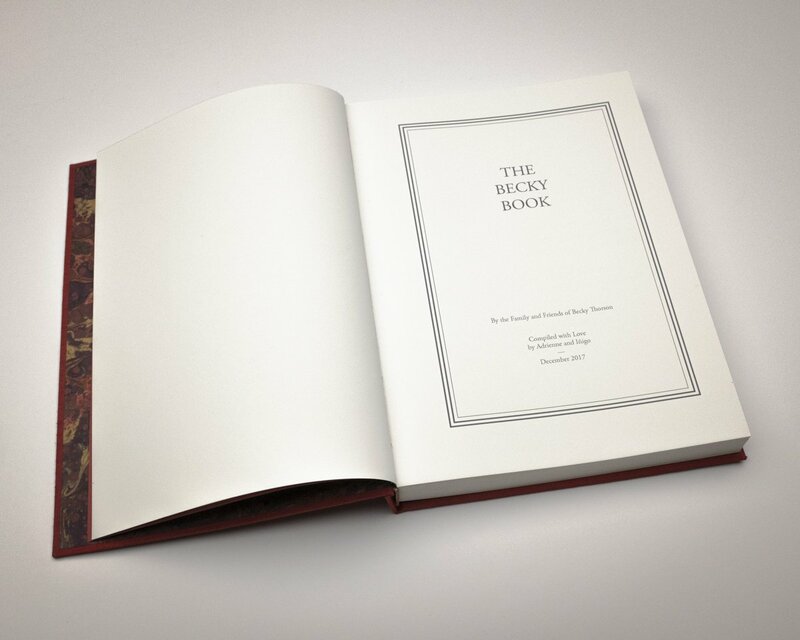 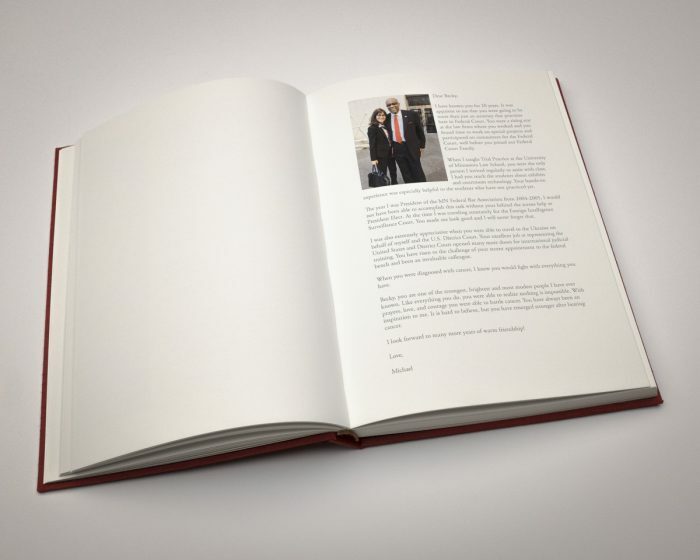 The book layout and design was done in InDesign and the paginated pages printed on Hahnemühle Book and Album paper.